Bed sheets are so often overlooked. And until you’ve slept on a luxury soft sheet you don’t know what you’re missing out on! But with so many different materials to chose from it can be tricky to know what to look for. Like why is Egyptian cotton better than regular, and is a thread count of 1000 the only way to go? In this guide, I’m going to explain exactly what to look for when buying your next bed sheets. Then at the end, I’m going to review some of my personal favourites and provide some of the best recommendations. But before that I’ve got a quick summary of all the best sheets in this list. Just click the name and you’ll go to either John Lewis or Amazon where you can order yours! If you want some more information just keep reading. Why are we counting threads? Thread count is an important factor when buying a bed sheet, but it’s good to know what that actually means. Basically what you need to know is that the thread count is the number of strands of material per square inch, it’s on the thought that the higher the thread count the smaller the thread has to be making it feel softer. But it’s actually a little more complicated than that, thread count was first introduced in America as a marketing term with “higher = better” but with that people made new manufacturing techniques that could basically double weave the threads together doubling the thread count without actually providing any more comfort. Think of it like “fat-free” foods, true there fat-free and less fat is healthier but if it’s all replaced with sugar then it kind of defies the point. Don’t get me wrong thread count is still important but the best bed sheets aren’t necessarily the highest thread count. For instance, the main difference between 1000 thread count and an 800 thread count is price, they will feel damn near the exact same. And if you find a 1000 thread count sheet that seems an absolute bargain it’s probably a scam. It gets worse though with some companies offering a thread count of over 2000! It’s simply unnecessary. The ideal thread counts are between 200-800, with 800 being the most luxurious and 200 being budget-friendly yet comfortable. What Should They be Made Of? 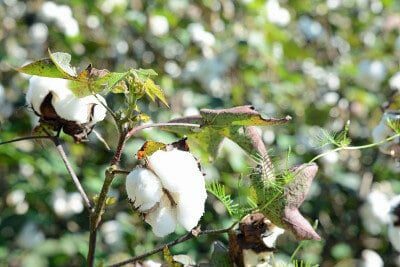 Egyptian cotton is often hailed as being the best but why? Well because it is the best! Egyptian cotton is stronger, longer and softer than any other making it the ideal choice for your bed sheets. Egyptian Cotton handpicked which keeps the strength of the fibres intact compared with machine harvesting. As a final touch it is also highly absorbent so when it is being dyed it takes the colour best leaving you with crisp white sheets or any other colour you might want. Linen is hailed for its hugely breathable nature making it ideal for hot weather. It helps keep you cool while wicking moisture away from the body. The downside is that it’s not a very workable material making very hard to manufacture so it’s more expensive. Still, it’s well worth having a set of linen sheets in the cupboard for the summer heatwave. Often people use linen sheets as a cover instead of a duvet when it gets hot so they tend not to be fitted. And if you call all bed sheets bed linen that’s ok too! Bamboo is another great climate controlled material. It’s naturally hypoallergenic and very rarely does it get treated with any chemical making it a great all natural choice for the environmentally conscious. Just make sure the bamboo is responsibly sourced and organic. Jersey is a bit of an odd one as it is often made from cotton but is so entirely different from a cotton sheet. It’s basically the same material that t-shirts are made from so it is not very breathable but has its own softness to it. The difference is that it’s knitted instead of woven giving it a much tighter feel and trapping in a lot of the heat, so if you get especially cold at night jersey is the way to go but I think nothing beats getting into bed and feeling the cool crisp sheet beneath you. And if you need warming up consider getting yourself a new duvet. Sheets with cashmere wool are normally a blend of cotton and cashmere giving you a warmer sheet that’s still superbly soft and breathable. Very comfortable and a great choice for those who need a little more warmth but still like a crisp sheet. You can’t forget about the size of the sheet, no point buying one that’s too small! I imagine you know what size your bed is in terms of double or king (if not check out the table below) But what’s more important is mattress depth. 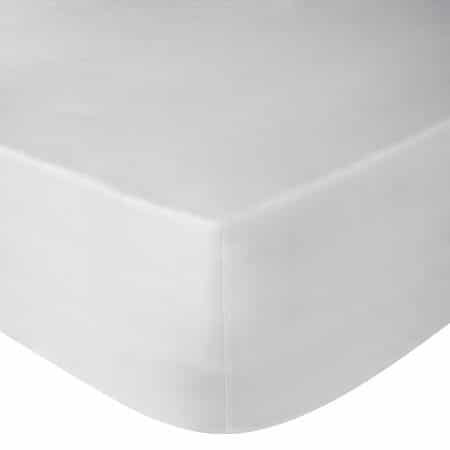 Nothing worse than taking home a sheet and for it not to fit or for it to pop off every night, so make sure you know the depth of your mattress including the mattress topper if you use one. Don’t worry about the sheet being too deep the stretch sides will make it fit no problem at all. Finally, we have washing instructions, I would never buy a sheet that’s not suitable for the washing machine (not even sure there are any) but you also want one that you can tumble dry. Apart from the fact bed sheets are a pain to dry if it’s not tumble dryer friendly it’s likely made with cheap materials not suitable for the tumble dryer. 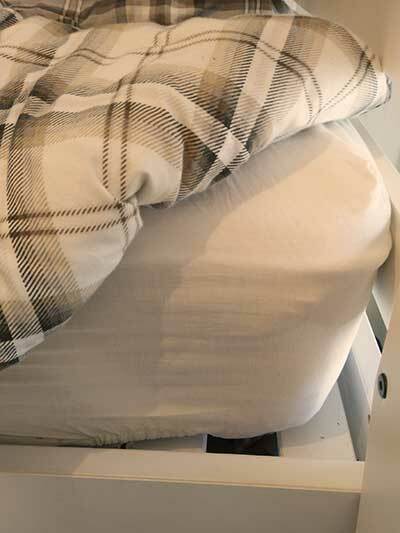 I’ve put together some of my absolute favourite bed sheets and provided a short review of everything you need to know, I’ve grouped them into different categories so everyone can find what they need. I’ve linked them through to either Amazon or John Lewis so you can buy yours today! John Lewis really hit the nail on the head with their 800 thread count sheet, offering the finest luxury at a great price. Cheaper than the 1000 thread count alternative by £30 these are the clear choice as the best bed sheets you can buy. 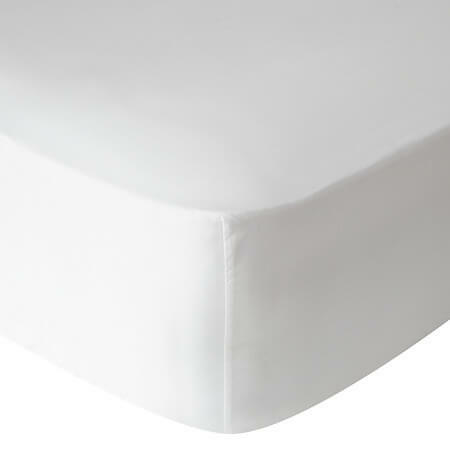 The ample depth allows it to fit easily onto any mattress taking away all the usual trouble of putting your fitted sheet on (We’ve all been there, one corner on while the other comes off in an endless cycle of frustration) Meanwhile you can feel the quality in the touch and how thick it feels. Once you’ve got them on and climbed into bed you’ll notice the cool touch and silky feel of the high thread count letting you sleep comfortably and easily all night long. Bottom Line – The ultimate in luxury bedding. A high thread count and deep fit make it the absolute perfect choice in bed sheets. I’m aware that not everyone can afford luxury so it’s important to have a cheaper alternative. Well, the John Lewis 200 thread count sheet is just that. Although 200 is the lower end of the spectrum it is still a well made and comfortable sheet, sure go for higher quality if you can afford it but I know not everyone can so this fits the bill nicely. Make sure you’ve measured the depth of your mattress beforehand as a lot of people have found some slight shrinkage happens and the sheet stopping fitting after that. But I am nearly certain that people buy the wrong size. These sheets are made with Egyptian cotton but they fail to mention the percentage so I imagine it’s a blend with regular cotton. Still, these are very soft and comfortable sheets and they are cheap so there is an element of getting what you pay for. They also come in a huge range of colours so if you don’t want white or off-white then this will surely have the colour you’re looking for. 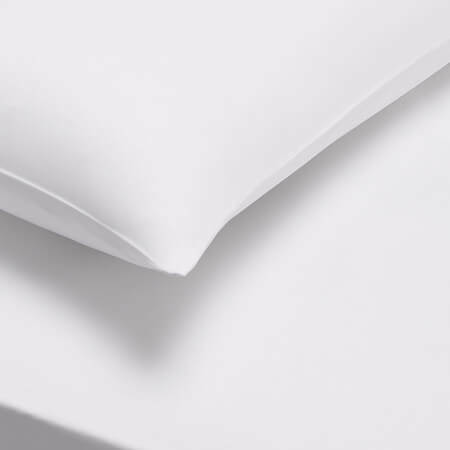 Bottom Line – Nice and comfortable this a budget-friendly sheet that’s well made and available in a large range of colours and sizes. A perfect choice for the budget minded. 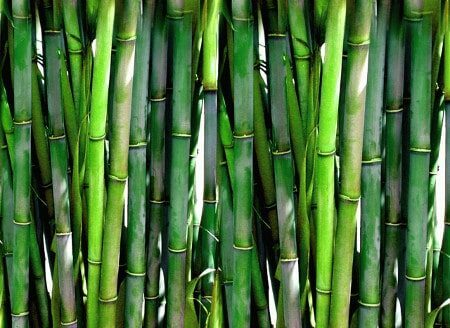 As I said before, bamboo has a lot of great characteristics, it’s both breathable and hypoallergenic making it a great choice for those with allergies. This sheet from All Bamboo is made from responsibly sourced organic bamboo and is completely free of chemicals. The 300 thread count is very reasonable but because bamboo is such a different material it doesn’t feel the same as cotton, so it you’re used to cotton it will actually feel more like a 500 thread count sheet which is much nicer. When washing be sure to only wash it on a cool 30-degree wash otherwise you might find you get some shrinkage and it won’t fit as well as previously thought. 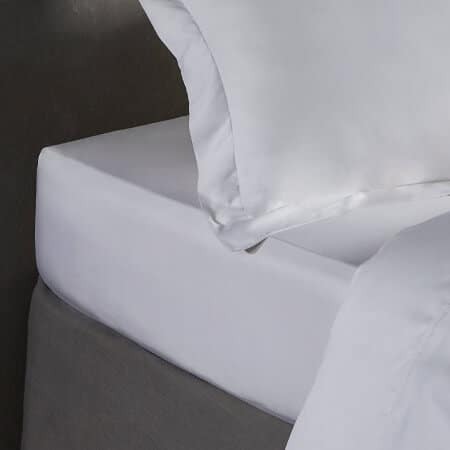 Bottom Line – A great price for a great sheet, soft to the touch, organically sourced, chemical free and hypoallergenic. The Jigsaw Cashmere Blend Fitted Sheet gives you some great extra warmth If you have a tendency to feel a chill at night. It traps in the heat a little more while the 400 thread count makes it a luxuriously soft. A downside is these only come in white, so if you were looking for a different colour you’ll need to try something else. I personally love a white bed sheet I think it makes the room look very clean and inviting, put it against a bright duvet cover and you’re definitely onto a winner. Bottom Line – Perfect for those looking for a little bit of extra warmth and aren’t prone to overheating or night sweats.